The Chicago Tribune has obtained the U.S. Army's internal report on the attack one year ago in Qalat, Zabul Province, Afghanistan, in which FSO Anne Smedinghoff and three U.S. soldiers were killed. The Army's investigation of the incident was scathing, and reportedly two officers were disciplined as a result. 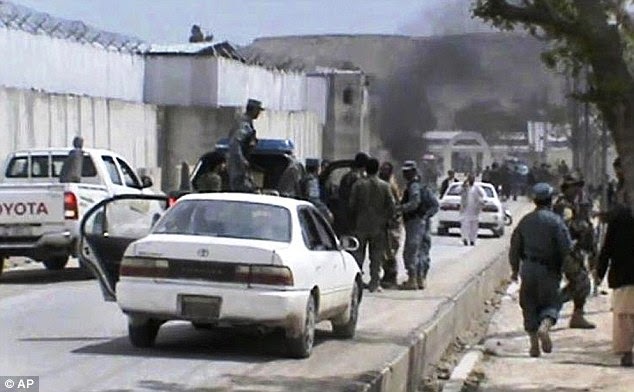 Briefly stated, the four plus several other U.S. diplomats and soldiers were walking in the street just outside the perimeter wall of the Provincial Reconstruction Team Zabul compound when they were ambushed in a attack that involved two bombs, one small and remotely-controlled, and the other larger and vehicle-borne. The Chicago Tribune's story is here, and Diplopundit has much more on the attack and its aftermath. They were caught in the initial blast at about 11 a.m., when a remote-controlled bomb hidden under a pallet that was leaned up against the base’s southern wall detonated. That confirms a detail that was anonymously reported to the Associated Press a few days after the attack. It is evidence of gross complacency. If it was possible for someone to place an explosive device against the base of the PRT compound's wall without it being detected, then there was much more wrong at PRT Zabul than just a failure to plan for a visiting delegation. Foreign Affairs Security Training Center Might Get A Home Someday, But Where? The Foreign Affairs Security Training Center (see the FASTC project fact sheet) has been a vital need in search of a location for many years now. So I was pleased to see a press release by Virginia's Senator Kaine applauding the announcement that Fort Pickett in Blackstone, Virginia, "has been chosen" as the FASTC site. The Federal Law Enforcement Training Center can more than handle security training for the State Department and save taxpayers millions of dollars in the process, the congressman whose district includes the center in Glynn County says. Kingston supports strong training programs for State Department personnel but is opposed to spending an estimated $1 billion on the development of a Foreign Affairs Security Training Center - or FASTC - at Fort Pickett at Blackstone, Va.
Funding for a new training facility was included in a budget submitted by the State Department for the new fiscal year in October, but it was taken out after Kingston and members of the U.S. Senate questioned the lack of a feasibility or impact study. "As you know, a variety of federal agencies have sought to establish new, separate training centers for their agencies over many years - sometimes inspired by members of Congress whose states they viewed as the ideal setting, other times by an earnest desire to provide the best training possible," Kingston wrote Kerry. Say, Representative Kingston wouldn't be one of those members of Congress who views his own state as the ideal setting for FASTC, would he? I sure hope he's one of the other kind, the earnest ones. I always assume the best of our elected representatives. 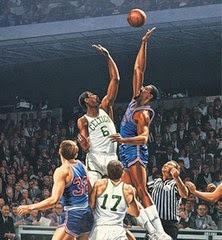 I hope Senator Kaine tips this political jump ball his way. The Federal Law Enforcement Training Center is probably a wonderful place to learn handcuffing skills and such, as you can see from the training programs described here, but that isn't at all what foreign affairs security training is supposed to be about. 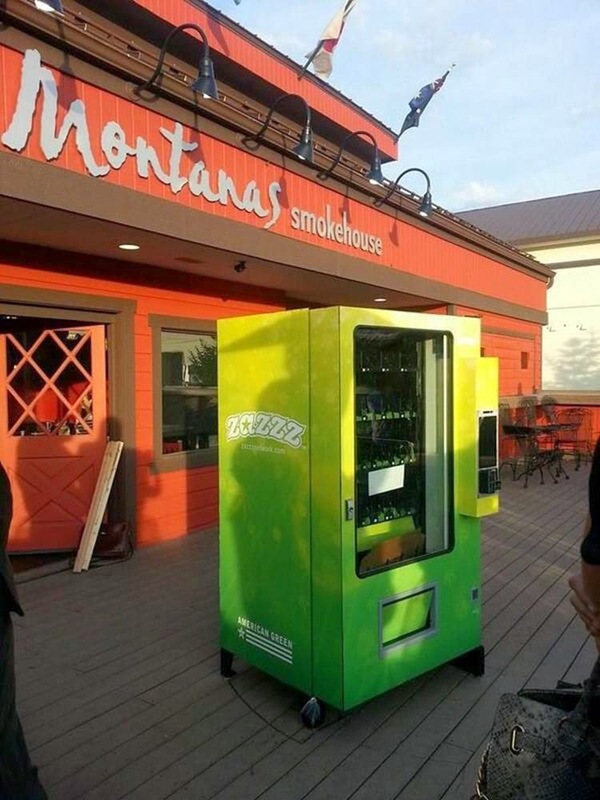 So Colorado now has coin-operated vending machines that dispense hash brownies? Try to top that, Amsterdam! According to today's NPR report, the machines are aimed at the medical marijuana market. I guess that makes them, like, urgent care facilities. Because there isn't always a hospital nearby when you've harshed your mellow. Apparently "Budtender" is now a job title, like "Barista." The next step is inevitable: display cases of farm-fresh gourmet weed at Starbucks. Which, for all I know, might already exist someplace. I have no real reason for posting this video, other than that it is the best two and a half minutes of recording that I've ever heard. Plus, it's infectiously joyous, and that's helping me recover my composure after wading through the smarmy mess of the Podesta divorce. Matthew Continetti of the Washington Beacon has done a Tom Wolfe-ish treatment of the conscious uncoupling of premier Democratic lobbyists Tony Podesta (the Podesta Group) and Heather Podesta (Heather Podesta + Partners), a distinctly DC drama that is playing out through news leaks as much as law suits. Divorce Beltway Style looks at the tens of millions in annual revenue the two Podestas took in, the multi-million dollar houses they owned, the art collection they'll have to split, and, most of all, the self-licking ice cream cone that is political lobbying at their level. They [the suits and counter suits] tell stories not only of a May-December romance gone sour, but of how obscene wealth can be amassed through rent-seeking and influence-peddling in Washington D.C., and of the hoary means by which the princelings of the capital and their consorts maintain and grow that wealth. Heather changed her name — something she had not done in her previous marriages — to Heather Miller Podesta ... She joined the company, began lobbying. She picked up Tony’s art habit, and together they amassed a collection of more than 1,300 pieces [you can view some of them here]. In 2007 Podesta Matoon became the Podesta Group. Heather formed Heather Podesta + Partners, establishing two prongs of the Podesta family empire. The third prong was the Center for American Progress, founded in 2003 by John Podesta, who would oversee President Obama’s transition team in 2009, and join the Obama administration as a senior adviser in 2014. The Podestas had become the most important non-elected family in the Democratic Party. In 2009, with the inauguration of Obama and the dawn of unified Democratic control of Washington, business boomed. Revenues at Tony’s firm close to doubled, and revenues at Heather’s firm increased by 50 percent. The money has continued to roll in. The Podesta Group had some $13 million in lobbying income in 2013, sporting clients such as Lockheed Martin, Wells Fargo, U.S. Airways, Walmart, and the National Biodiesel Board. Heather Podesta + Partners made some $4 million, lobbying on behalf of health companies, the American Beverage Association, Brookfield Power, DeVry University, and others. A portion of that money was recycled, contributing to Democratic campaigns, opening up avenues of influence: Tony gave some $45,500 in 2013, all to Democrats; Heather some $95,798 to Democrats, Democratic committees, and liberal groups. Corporations give to Democratic politicians, avoiding the scrutiny of liberal attack dogs in the media and nonprofit sectors, and enjoying the ego boost that comes with being on the “right side of history.” Then those corporations hire the Podestas to get them out of the Rube Goldberg traps the Democrats have enacted into law. 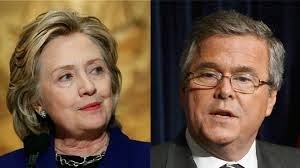 Looking at the 'Jeb Bush Talks Strategy If He Runs for President' story in the New York Times tonight made me wonder when was the last time, before 2012, that we had a Presidential election which did not feature anyone named either Bush or Clinton. If you count 2004 as an election with a Clinton in it - since Hillary ran for the nomination - then you have to go all the way back to 1976 for the last time we had an election that did not include a single Bush or Clinton. Every election between 1976 and 2008 had a candidate Bush, or Clinton, or both. That's 32 years. And now, maybe the dynasties will reemerge in 2016. Dynastic rule is common around the world - think of the Bhuttos in Pakistan, the Assads in Syria, the Ghandis in India - and it isn't actually incompatible with democracy. But still, isn't there some section of the U.S. Constitution that can save us from alternating lines of hereditary Presidents? The 22nd Amendment ended serial Presidency. Can we please add another one to end the threat of political dynasties? For example: "No person shall be eligible for the offices of President or Vice President who is a parent, child, spouse, sibling, aunt, uncle, cousin, or in-law of, or has any collaterally consanguineous relationship with, a person who has already been elected to that office." Really, 32 years is enough. Let us find a new crop of candidates. I have all the regard in the world for the professional curators in the Art in Embassies (AIE) office. They make a serious contribution to public diplomacy by, among other things, placing permanent exhibits at each of our new Fortress Embassies - of which there are 111 and counting as of this month - and, God knows, those places can use some cultural uplift. Frankly, though, I don't think a sculpture of an albino camel gazing at a gigantic needle is the artwork we need at U.S. Embassy Islamabad. I mean, a camel? Why put out that bait for cheap jokes? Well, it turns out that AIE didn't want the camel at first, either. [Question] In war torn or "hostile" countries, have there been instances where artists need to reflect on their right to create, to see, to think, to absorb, to interpret, and to translate? [Answer] I believe the visual arts programming is relevant in every country but can be more critical in hot-bed countries where there is unrest, instability, or conflict exists between us. The art humanizes these buildings and becomes a common denominator. Sometimes these buildings look like bunkers. The objective of the art program is to highlight the similarities as well the differences between our countries. While the art may not ultimately change the outcome, it helps on a humanitarian and emotional level. Yes, at times it can be tricky for artists from the host countries at times to work with AIE. Recently, I have been working with Shahzia Sikander, an internationally acclaimed artist from Pakistan who is a miniaturist and video artist. Sikander lives in the US. The initial concept was for her and a classmate of hers from the National College of Arts in Lahore to collaborate on a site-specific commission for the new Embassy in Islamabad, Pakistan. However, the local politics in Pakistan came into play. Heated debates on her role in the history of contemporary art emerged, and a critic questioned her contributions as a leader of Pakistani art, as well as her allegiance. 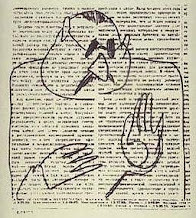 Ultimately, we decided that any type of collaboration would be fraught with issues and might be interpreted as having messages of propaganda. So, we are working on site-specific commissions for both artists versus a collaboration. Well, well, well. So the politics of Pakistan made it impossible for the State Department to commission a noted Pakistani-American artist to produce a representational artwork for our embassy there. Her "allegiance" - meaning, presumably, her allegiance to Pakistan - was questioned by Pakistani critics, and her collaboration with a local artist might have been seen as propagandistic. And so, we went with the camel instead. Too bad. 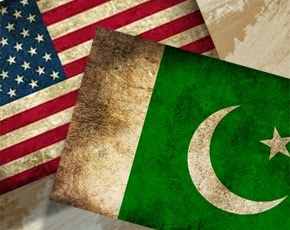 If the objective of the Art in Embassies program is to "highlight the similarities as well the differences between our countries," what better way to do that than with a Pakistani-American collaboration? The camel has nothing to contribute to that objective.